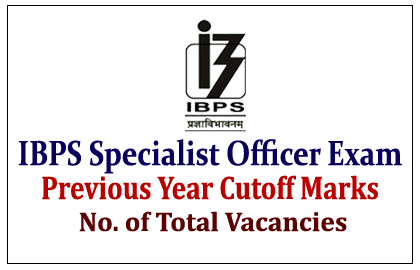 IBPS has announced the Exam dates for its Specialist Officers Recruitment 2015, which was expected to start in February 2015. 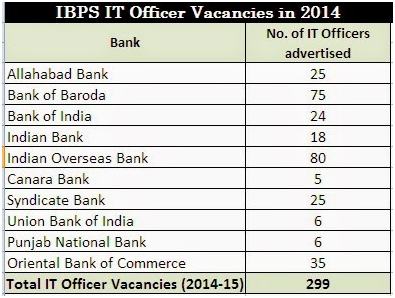 Here we have given the Cut-off marks and total number of vacancies in the previous year IBPS Specialist Officer Exam. Last year Agriculture Field Officers Holds Maximum number of vacancies, next to that Marketing Officers and IT Officers Respectively.